Earlier this month I went to a very special birthday party. 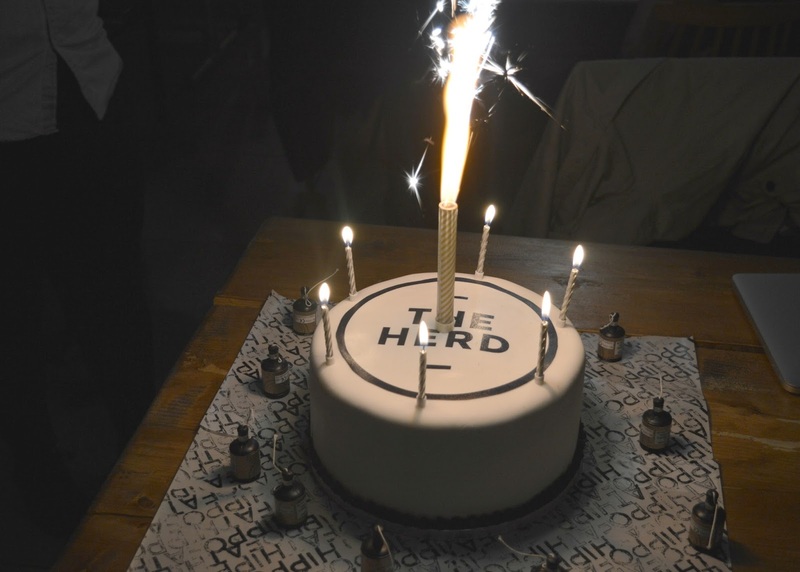 Fat Hippo, the North East's favourite burger restaurant, turned six and to celebrate invited some of their most loyal customers to the Fat Hippo Underground to enjoy a night of beer, burgers, birthday cake and a very special announcement. 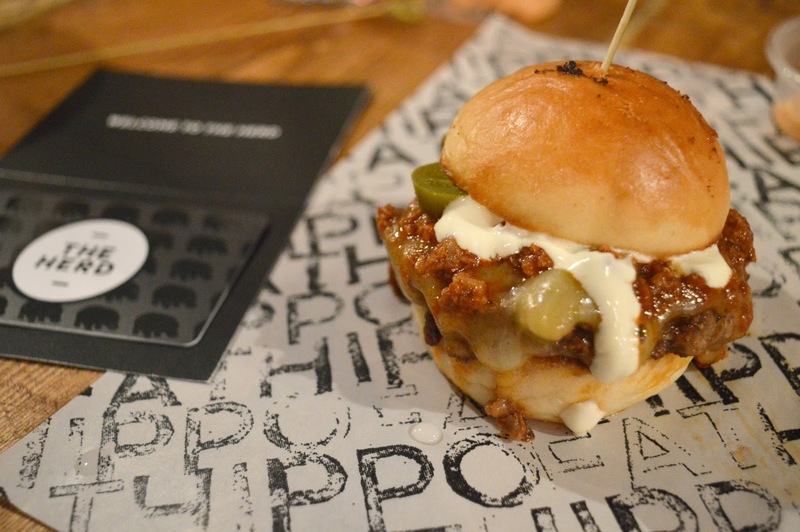 Yes, it's finally here, the Fat Hippo loyalty card and we were about to become the first to Join the Herd! I am a huge Fippo fan and I know that you probably are too! So, what does any group of obsessive fans need? Something to keep in their wallet to show off what a big fan they are of course! 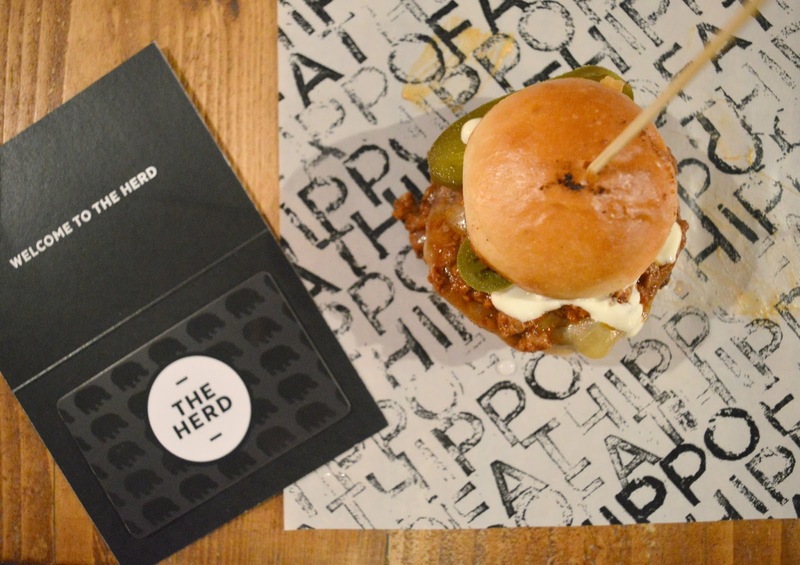 Yes, Fat Hippo have finally launched their loyalty scheme and are inviting you to join their exclusive club and become a member of the Herd. Membership to the Herd is completely free and available to everyone who loves Fat Hippo, giving you loads of perks that wont be available to anyone else. 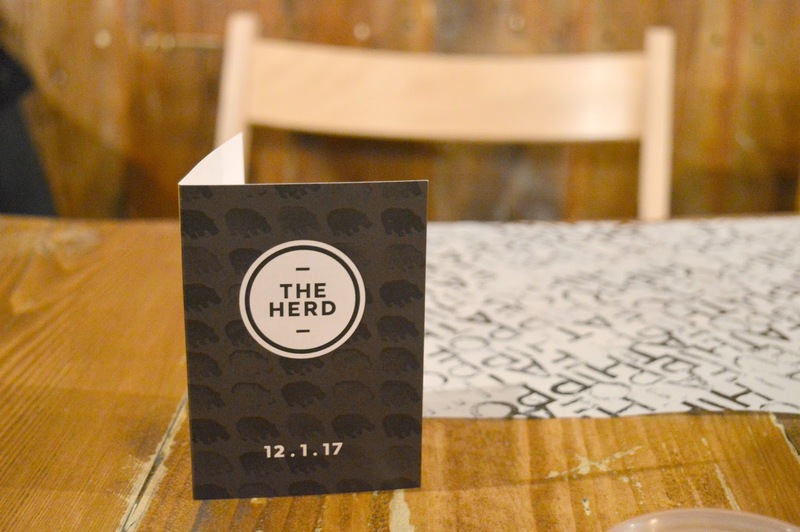 Members of the Herd can earn points every time they dine and save them up to climb up the Herd. At the moment I am a very proud "Salad Dodger" (story of my life!) but of course my ultimate aim is to collect 5000 points to become Head of the Herd, because who wouldn't want to be the most important Hippo in the Herd? Points can be exchanged for loads of great rewards including meals, drinks and even fashion forward Fat Hippo clothing to add to your wardrobe. When you're in the Herd you'll be able to access an exclusive part of the Fat Hippo website where you'll be able to check your points total, receive notification of any exclusive events and, the part I'm most excited about, be able to access a secret menu! Yes, I SAID SECRET MENU! Shhhhhhhhhh! It's hard not to shout too loud about this part cos I'm that excited about it! You wont find details of the secret menu anywhere in the restaurant and it'll only be available to view when you log into the Herd website. Simply go into the restaurant, order your secret burger and flash that all important Herd card! 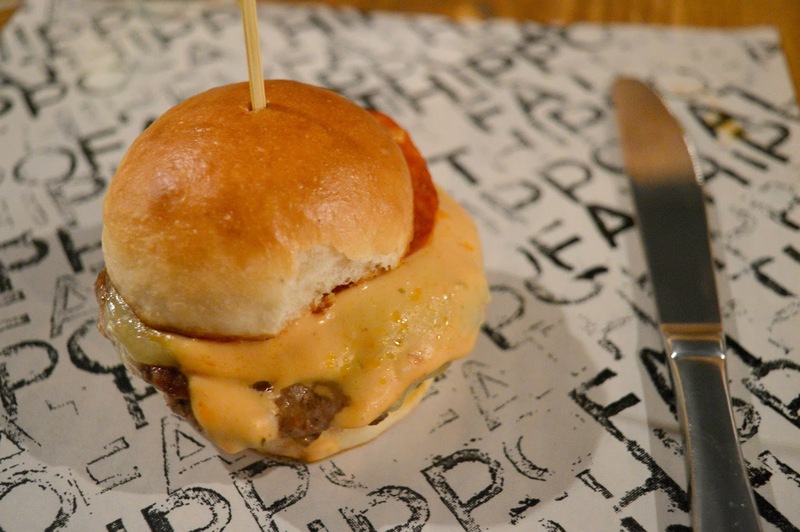 The secret menu will change regularly, giving us all the perfect excuse to eat far more Fippo burgers than we ever have before - hurrah! The first secret menu is here and it features some old returning favourites! I don't want to give it all away but there's one particular secret burger that I can't resist sharing with you. 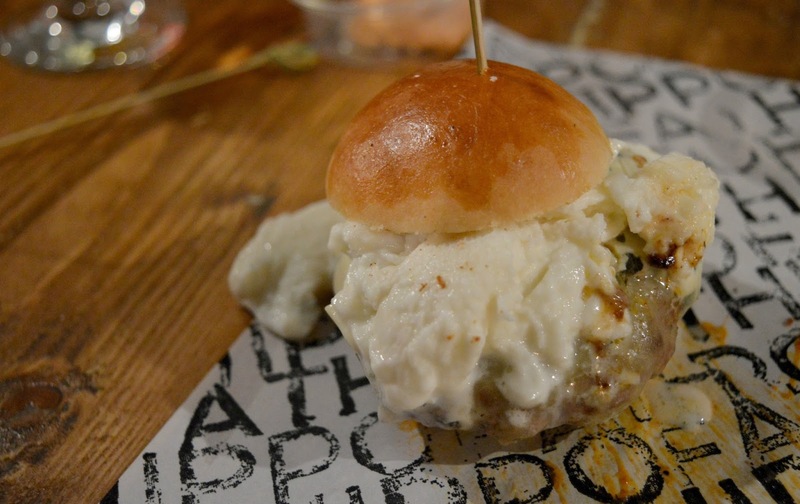 Check out Danger Mouse - a double 4oz Patty topped with Monterary Jack Cheese, Mozzarella and Blue Cheese. Impossible to eat without dropping cheese all over yourself, the table and your dining partner it's a heavenly burger that reminds you exactly why you fell in love with Fat Hippo in the first place. Of course every great birthday celebration has to end with cake (expertly made by the Pudding Parlour) and we ended our night by having a little sing song as we lit the candles and wished our favourite burger joint many many more happy years of serving up fabulous burgers. 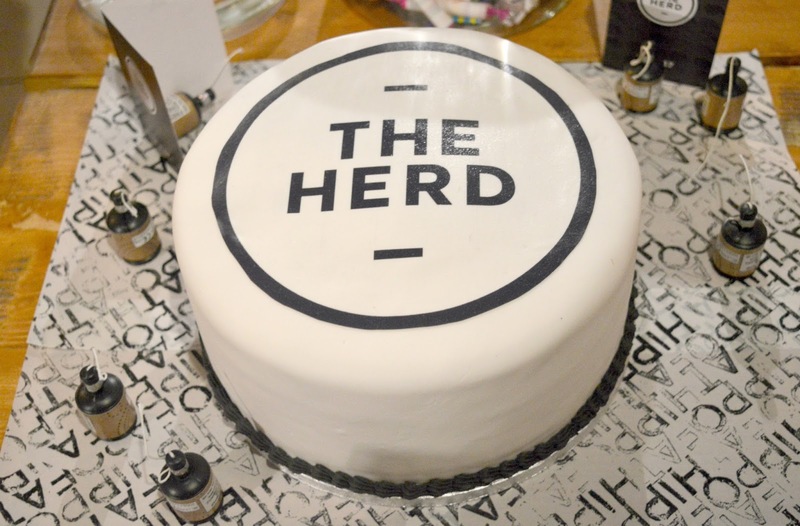 To sign up to the Herd click here and order your membership card. If, like us, you're super impatient waiting for it to arrive in the post just be sure to let staff at Fat Hippo know your e-mail address when you order to access the Herd benefits. Oh man - Steve and I have been craving a PB&J (sorry) for ages!